Useful information to help plan your coach visit. This information is for the travel trade only. Coaches can park for free in the ZSL Whipsnade Zoo car park, subject to available space. Coaches are not able to enter ZSL Whipsnade Zoo, however a free Safari Bus provides transport once visitors are inside the Park. Coach drivers accompanying a group to ZSL Whipsnade Zoo are eligible for free entry into the Zoo and a meal voucher. If you can book in more than 100 people to visit ZSL London Zoo or ZSL Whipsnade Zoo in a year – that’s just two coach loads – your company is eligible to apply for our credit account scheme, which includes ticket discounts, voucher entry, 30 day credit terms, free coach parking and a coach driver lunch voucher for use in the Zoo cafes at both ZSL London Zoo and ZSL Whipsnade Zoo. PLEASE NOTE THAT THESE BENEFITS ARE ONLY AVAILABLE ONCE YOU HAVE BECOME AN ACCOUNT CUSTOMER. ANY BOOKINGS MADE BEFORE BECOMING AN ACCOUNT CUSTOMER CAN NOT BE INCLUDED. Contact marketing@zsl.org or phone 0344 225 1826 for more details. 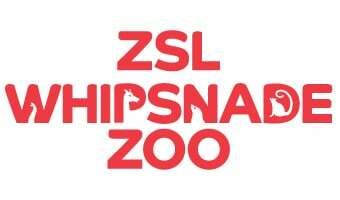 Get directions to ZSL Whipsnade Zoo by car, bus and train.